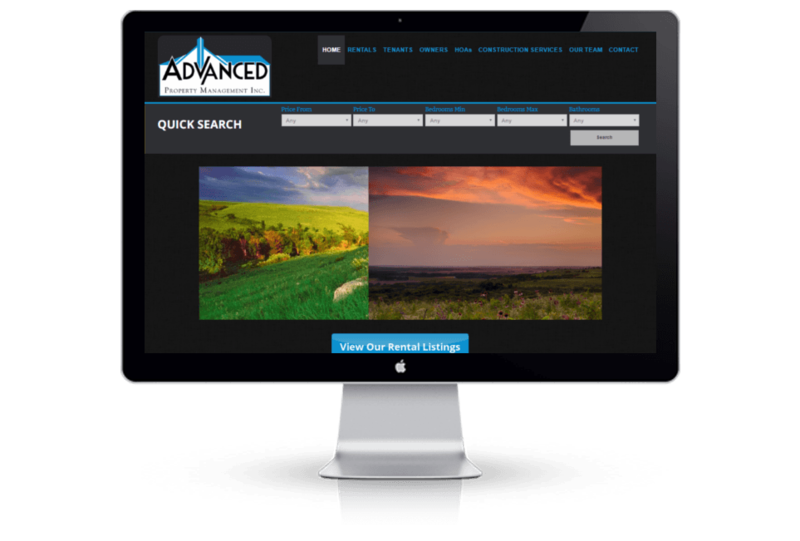 Advanced Property Management is a local property management company that caters to landlords, tenants, and HOA’s in Manhattan, KS. They contacted Conceptualized Design to asked for a Property Management WordPress Website Design that was updated and mobile friendly and was able to be used to list, advertise, and promote properties that they manage to find tenants searching for places to live in the Manhattan Kansas area. They wanted a simple solution that people could use to browse property lists that are available, along with easy access to the downloading of rental applications and applying online. Advanced Property Management hired Conceptualized Design to rebuild their existing WordPress Website Design to give it all of the modern functionality needed for today tech-savy generations. Making the website mobile friendly and responsive catering to the needs of their customers, potential customers, and tenants who were wanting easy mobile access and a user friendly browsing experience to view listings, download rental applications, and a click and call on mobile devices. This was an exciting website project to build for us. This project gave Advanced Property Management a new and improved version of their website with a similar design to their original website design, with a few adjustments to the design, and a complete overhaul of everything under the hood we rebuilt their website and brought in all of the modern functionality that was needed to bring their website up-to-date. While providing them with all of the controls they needed for updating property listings, blog posts, and their content as they see fit.